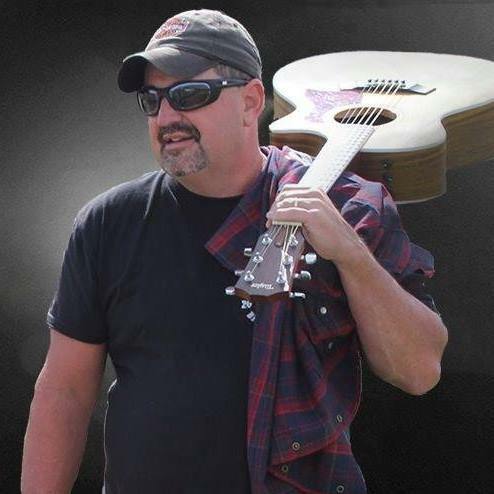 Although Jay’s sound is the truest form of traditional country, ironically, his first musical influences were Elvis, Creedence Clearwater, The Beach Boys, Bad Company, Lynyrd Skynyrd, and Queen. He occasionally listened to Merle Haggard and Charlie Pride. Despite enjoying their songs, country music was not his favorite genre. The first time Jay ever stepped on a stage was to sing karaoke. This was only after it had taken him six weeks of trying to muster the nerve to do so. That night he sang, “All Shook Up” and The Dance”. The crowd reaction was so favorable, Jay became hooked. Many people refer to Jay as the “Next George Strait” because of his resemblance both physically and vocally. His shows include many of Mr. Straits hits. As Jay often tells people, there is a lot of George, and a little Toby, Merle, and others mixed in. Although, Jay performs these artist’s songs extremely well, the audience is impressed most by his originals. Once a person has had the opportunity to hear Jay’s voice and experience his extraordinary writing skills, it becomes clear why. Growing up in Nashville, surrounded by my incredibly talented family and friends, my life goals were all about just that,…family and friends, and with no regrets, mind you. It wasn’t until this last year that I decided to ramp up my creative side of my brain and enjoy my music and writing again. I can remember singing at a very early age, and I guess I’ll never stop. So, …here we go! I currently live just outside of Atlanta, yes big city. Lots to do, lots to see and plenty of inspiration. But for this first CD, which will be released some time next year, I returned home and with the help of my incredibly talented son Matt (Mercer) who produced, engineered, mixed and mastered all of the songs you’ll hear which I titled the CD “Welcome Home”. Thanks so much for listening, downloading and sharing what you like. 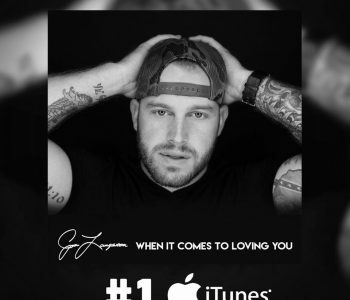 ( I’m also on iTunes, Spotify, Amazon Prime Music, Google Play, Rhapsody and 29 other retailers!) And thank you all so much for your support, encouragement, love and friendship. I was born in St. Paul, Minnesota on September 2, 1961. I have 5 brothers. Two older brothers and three younger brothers. My family was not a musical family. Infact, I’m the only one that sings and plays an instrument. We grew up living in various places throughout Minnesota. I started writing songs when I was 15 years old but didn’t do anything with them until later on in life. I graduated high school in Detroit Lakes Minnesota in 1979. I joined the Navy and was in boot camp 3 days after my high schoolgraduation. I married my high school sweetheart while I was in the Navy. I injured my back while I was in the Navy. I was honorably discharged with a service connected disability. My first marriage ended after only 4 ½ years. I have two sons by that marriage. My oldest son was born in 1980 and my youngest in 1982. In 1985 I went back to school and got my first college degree in Industrial Electronics. After my college graduation in 1988, I got a job in Houston Texas.While living in Houston, I started getting more serious about song writing. At the age of 29, with help from my friends, I bought my first bass guitar and started playing in a band. One thing led to another and things snow balled. I ended up recording a song for the Houston Rockets called Our Rocket Are Clutch City and it was played on national television. I also recorded my first song that I had written when I was 15 years old. It was called If Only In My Dreams. This was shortly followed by another song called Bulletproof. I was fortunate enough to get airplay with all three songs.In 1993, I made the big move to Nashville Tennessee to work on my song writing. I didn’t want to become a starving artist, so I have always kept my day job. Within a month after moving to Nashville, I met my co-writer Joe Perock. We hit it off quickly! We performed at writers nights throughout the Nashville area. The number of songs we have written together is well over 75. We still continue to write together after 23 years. Since my divorce from my first wife in 1983, I have had some long term relationships with women through out the years. My life’s experiences have been used to write many of my songs. Many of those songs were written about those relationships. In early 2001, a 7 year long relationship ended in death due to illness. The last 2 ½ years of her life was a constant battle with her health in and out of the hospital. Shortly after her death I moved to the Chattanooga Tennessee area to start a new life. I did start new life in Chattanooga. I started a new job and later got married in September 2001. In 2004, I went to work with the company that I’m presently working for today. Life has had it’s ups and downs but life goes on. In 2005 I suffered a stroke which paralyzed my left side. Determined to not to give up on life, I worked real hard to return back to work after only 30 days of hospital time. It took another two years of hard work to get my skills back on the bass to continue playing music. In 2008, I suffered another stroke. Not as severe as the first one, I continue to work full time and still play and write music. This year, I will be celebrating my 13th wedding anniversary with my wife. I continue to work full time and continue to work on my music. My newest co-writing partner is my wife Patricia.I may never get all the songs that I’ve written recorded, but I will sure give it a hell of a try. I have recorded (3) twelve song albums and have them all available cdbaby.com! My first album Scott Sharp Some Assembly Required was originally released in 2000. It was digitally re-mastered and re-released in November 2013. It was shortly followed by Scott Sharp Mind Over Matter in November of 2013 also. My third album, Scott Sharp Bullets In The Rain was released in June of 2014. I have plans to record more albums in the future but that is all pending the sales of my present albums. 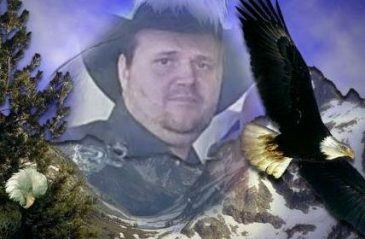 I may not make it rich or famous as a independent country artist, but I will remain true to my music. I hope you will take the time to listen to my songs. If my songs can make you smile, make you cry, make laugh, or make you want to dance, I’ve done my job as a songwriter. God Bless and thank you for keeping it country! Hi my name is Celeste and I’m an Actress, Songwriter and Nashville Recording Artist. Like many kids I started singing in my church and school choirs. It didn’t take long for me to realize this is what I wanted to do. So before I knew it, I was putting myself into every Musical and Talent Show I could find. A few years later I found where Radio Disney was holding auditions for a NEW Tween Pop Group called RD7. I auditioned for the group and, lucky for me, I made it. The year with Radio Disney was Amazing. We opened for Raven, The Jonas Brothers, Miley Cyrus and the Cheetah Girls. It didn’t stop there, we also performed an hour long show at the Kelly Clarkson, Addicted To Love Tour. When Radio Disney came to an end, I decided to start my own group called No Limit. The reason for the name? I wanted to send a message, “That if you work hard, stay true to yourself, there is No Limit to what you can do” I would end each show with that statement. I had such a great time with No Limit, we performed in front on thousands each year, including a show on the Aircraft Carrier USS Eisenhower, wow what a treat. It was during my time with No Limit that the group got the attention of Grammy nominee Dave Moody of Elevating Entertainment, hence the movie “No Limit Kids: Much Ado About Middle School” was born and so was my love for acting. Not only was I a singer, choreographer and dancer, now I had become an Actress, and I loved it. I had also become more of a songwriter… Coming off the set of “No Limit Kids”, I had so many emotions in me. I ended up writing 19 songs. My song “The Look” actually charted #20 in Germany – Thank You Germany. My music producer? Andrew Lane who I met in LA while attending the School of Pop. Drew is a Multi-Platinum producer with such credits as High School Musical, Hannah Montana, Back Street Boys to name a few. When it came time to record, Drew said “Nashville”. After all, it is where music is made and Country was my true love. So, that’s kinda the gist of how I got started. Country Network. 2012 would be a year that I guess will best be known as life changes….while I continued to promote my music through performing and interviews ~ it would also be the year that I would graduate from High School, Headlined my first tour: The Country Pop Rock Tour. Our mission was to share our music while taking a stance against bullying. We had kids and adults tell us that we helped them out, we also found out that we actually saved a life. When I received that messaged I cried a happy cry..to know that you saved a life was a feeling I won’t forget. 2012 – ended with me recording my 2nd CD titled “Broken Record”. I wrote all the songs on the CD and once again I teamed up with Drew Lane to have him produce it. We recorded it at the House of Blues Studios in Nashville, TN and Encino, CA. Throughout 2013 and 2014, I have continued to work my music, through performing, interviews, radio, tv and another tour. I also attended CMA Fest in June. Once you meet a country fan at CMA Fest you feel like you have met an old friend or relative…they’re the best. 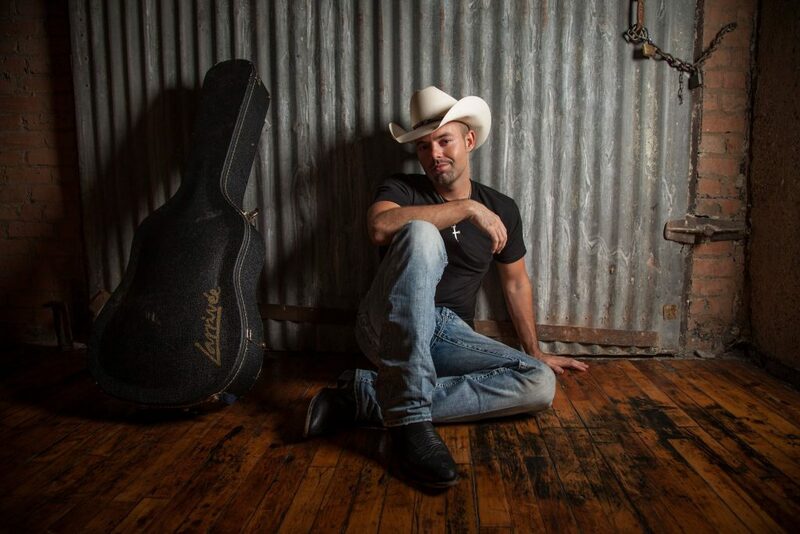 My NEW EP “Broken Record” was released in 2013… hope you get a chance to check it out. right direction and never use people to get there, let your God given talents do that for you. see everything this girl has been up to. “I try to live each day, where I can look back and be proud of who I am. 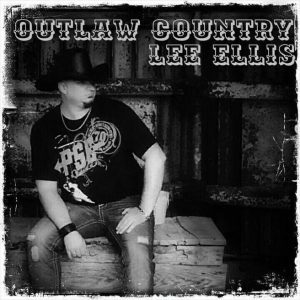 Hi I’m Lee Ellis I’m the vocalist and founder of LEE ELLIS OUTLAW COUNTRY.Singer songwriter from Georgia on CMA Record Label .308 Productions. BMI Nashville Song Writer My goal is to bring back the 70’s Outlaw Country music. Outlaw Country music and Southern rock was what I grew up on.Hank JR, Waylon, Johnny Cash, George Jones, Lynyrd Skynyrd , Eagles , Is what I loved as a kid and made me want to become a singer songwriter. I have music in my blood line and love what music does for my soul. Music saved my life by giving me hope when times were bad. I am so happy to help people in need with my music. Jessie Lynn exhibits her infectious personality and independent, “No Quit” attitude on and off the stage! August of 2015, Jessie Lynn was named a top 100 semifinalist in the nationwide NashNext Country online music challenge! Jessie’s final NashNext stats at the conclusion of the contest were as follows: Trending – # 31 or top 3% and by Featured Artist & Spin Score – # 50 or top 5% of the original 944 entries. Jessie continues to develop her own musical style by working with various producers, musicians, singers, songwriters, and her vocal coach, Jilla Webb, to enhance her wide ranged voice by performing all types of musical genres. She also served as the co-host on the “Friday Night Live” radio show with “Ziggy” on Kool Classic Hits WRBZ 95.5 from June – October, 2014. Music has truly been a part of her life since the age of three, and she continues to grow as an artist through performing and writing songs! During her formative years in Prattville, Alabama, she experienced joy and success in coaching, showing, and training horses in multiple disciplines (see website: www.alextremeequine.net); playing baseball and basketball; participating in 4-H and community service events; all while continuing her acting, modeling, and singing performances in numerous venues. 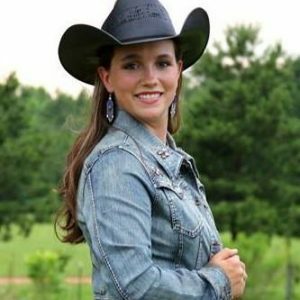 Jessie Lynn’s musical and performing career began at the age of three when she began singing in church and participating in Little Boots Rodeo princess contests. Jessie participated in piano lessons for two years, and sought professional voice training from 2005 thru 2012. She recorded her first “demo” CD at the age of eleven and received multiple acting and singing “callbacks” from various management groups located in Florida, Los Angeles, New York, and North Carolina. However, at that time in Jessie’s young life, her parents opted not to pursue the numerous “callbacks”. Her parents wanted Jessie to enjoy her childhood and gain more experience in performing prior to seeking a career on the stage. Since 2005, Jessie Lynn has gained extensive experience in acting, modeling, and singing. 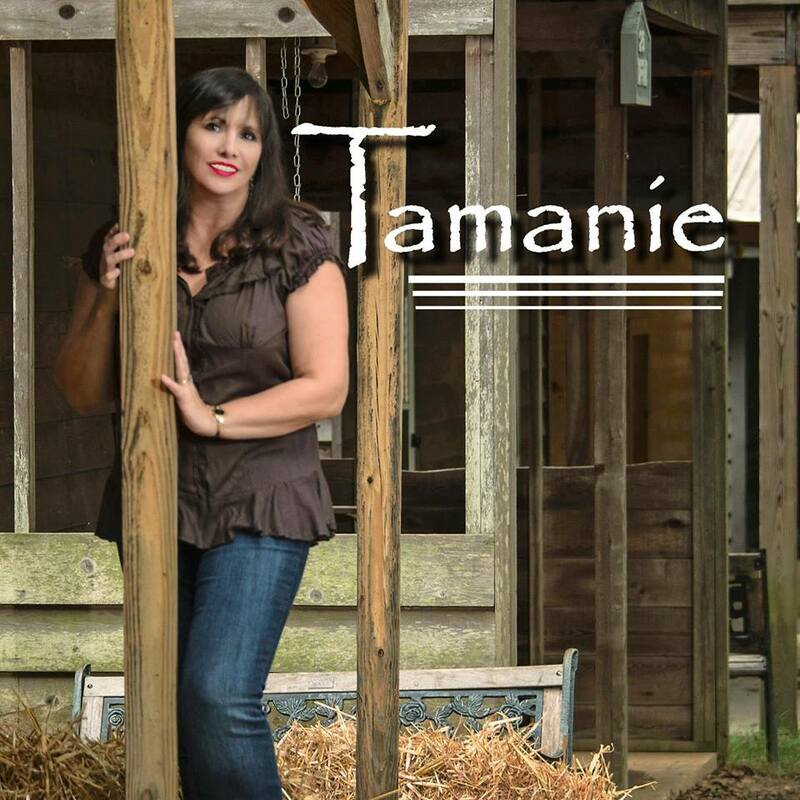 As a solo-vocalist, she released her first original single, “Boots N Bling It’s a Cowgirl Thing” on July 1, 2015, and plans to release her first album, “A Softer Side of Country” in early 2016. She has performed at the Alabama State Senate, Auburn University’s “Ag Roundup” Homecoming event, NCAA Division II World Series, Montgomery Biscuits Baseball Games, Alabama Distinguished Young Women (County & State Scholarship recipient), Canaan International’s Premiere Showcase Event, Miss Junior Teen Montgomery (title holder), Montgomery Motor Speedway, Wetumpka Depot Players, churches, football games, rodeos, school related functions, and special invitational events. She also performed with her “One Voice” choir tour group in multiple locations in St. Louis and New York City. Currently, Jessie Lynn is a senior at Auburn University working towards her communications degree as she continues tracking new music in studio, writing songs, and rehearsing for upcoming solo musical performances. Jessie Lynn has been afforded awesome opportunities to meet with some of the “best in the business” producers, musicians, songwriters, and PRO executives in Nashville, TN, and Muscle Shoals, AL. These contacts have assisted in her pursuit of learning the music industry from the ground up and continue to foster her love of performing live music! Become a Facebook friend at “Jessie Lynn”, Twitter @JessieLynnJL. Jane honed her chops fronting various bands including ‘A TRIBUTE TO JANIS JOPIN’ and eventually landed in Los Angeles where she was repped by veteran business manager Gerry Tolman (CROSBY, STILLS & NASH) and David Rudich (MONTLEY CRUE). A rhythm section was the next call to action. An ad was posted and first on board was bass player:RICK OTTENBRITE (Eyes of Alice (ALICE COOPER), Guesswhomania, Fleetwood Dreams & El Grande (ZZ TOP). Rick has also shared the stage with the likes of DAVID WILCOX, KIM MITCHELL, DOUG & THE SLUGS and country star JOHN LANDRY. …Then drummer MIKE MANN (The Spoons, JUNO Award Winner Anthony Vanderburg, Q107 winner Mark James Fortin, Shattervox & The Monroes…(to name a few))…completed the band. 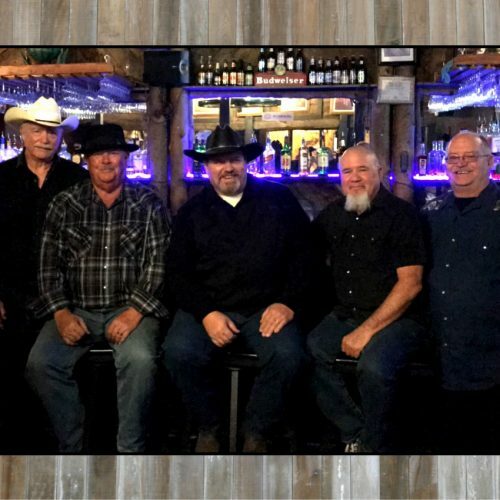 One Ugly Cowboy’s wealth of experience both musically and in life makes them a band that will not only uplift their audience but more importantly leave them with moments to remember. 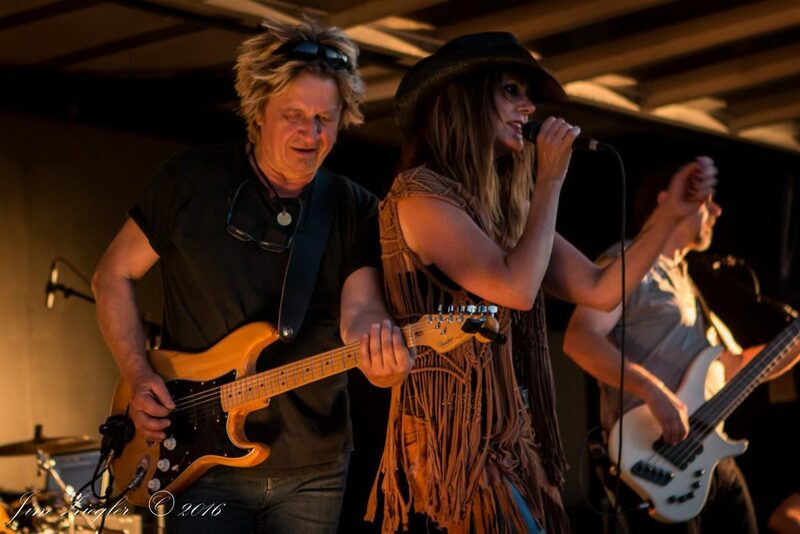 They soulfully blend gritty country and in-your-face-rock with their up-beat, sometimes funny and often, heartfelt tunes. Born and raised in Kingston, ON. Emylee discovered at a very young age, her love for singing country music. With many endless hours of vocal lessons, she began to develop the ability to write and perform. Emylee has always been big on fitness, the ability to compete gave her the confidence and strength to continue to pursue performing. With the love of and support of her Mom and Dad, Sisters, Fiance, and wonderful friends, she was able to overcome and bring the confidence to her life to continue to develop her passion and pursue her new career! 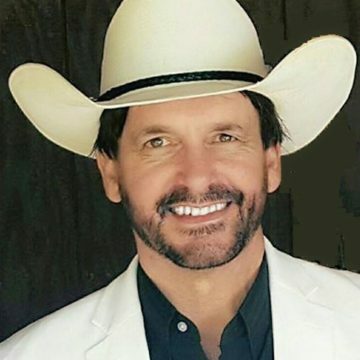 Dalton Gray- a rare kind of country artist; one of those that comes around every so often bringing a look and a spin on music that just gives the sense to the listener that he belongs in the stereo. Whether its a story about a country town, a soldier and his family, a rocking club tune, a dreamy dance and love tune, songs about hard work, moving on, or a smoking girl from the country, Dalton Gray captivates the audience with authentic soulful Texas draw, cutting crisp purity, beautiful emotion, and astounding range. He is one of those rare artists that keeps the songs hitting home but catching you in a new, unique way every time. Songwriting with many signed writers and up and coming artists has allowed a huge catalogue of excellent tunes to be available to record for years to come. Dalton has played 100s clubs, bars, hinkytonks, festivals, and showcases the past three years full time on the road between home sweet Texas and the East coast. The band Dalton and his band “The Space Cowboys” connect with crowds in an unforgettable way between the talent and passion they bring. Be ready when this Southern charm comes through your town. You are sure to be met with a true ab bility and originality that only stars possess as well as a mannerly professionalism that will leave you feeling like chivalry is still alive! So gear up! You can bet your hard earned dollar that this artist will take you for a memorable ride down music lane! Multi-instrumentalist, and singer/songwriter, Maggie Baugh is a young, highly energetic, South Florida based county music sensation. At 18 years old, Maggie Baugh has already taken country music by storm. Her latest single, Catch Me can be heard on Radio Disney and the Catch Me official music video can be seen on CMT.com. With 3 albums of original music, you can expect to see more of Maggie Baugh this summer. 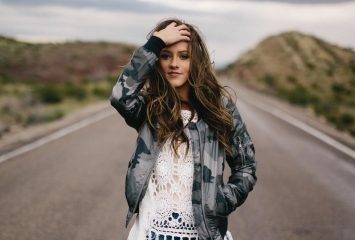 This year alone (2018) Maggie Baugh has shared the stage and performed with country music legends Terry McBride and Marty Raybon and has opened for Randy Houser, Parmalee, David Nail, Runaway June, Jerrod Neiman, Lee Brice, Charles Kelley, Jake Owen, Luke Combs, Kane Brown, The Cadillac Three, Lanco and Danielle Bradberry. Born in Nashville, Tennessee and raised in Hattiesburg, Mississippi, singer/songwriter, Brieanna James, is no ordinary girl. Her parents, Kimberly and Brice James, noticed early on that she was a natural performer and was born into the world with music in her heart. Growing up in the south, she was influenced by country music and loved watching Hanna Montana and listening to Miley Cyrus and Taylor Swift. Both Miley and Taylor inspired her to want to act and sing at a very young age. With the full support of her family, Brieanna’s parents relocated to Los Angeles in 2008 when an agent asked her mother to bring her in for a meeting upon seeing her headshot from a mutual associate. Once signed, she immediately started booking national commercials for brands such as Puppy In My Pocket, Hasbro, Stride Right and a dozen others. The intended 3-month visit to LA turned into seven years and counting. Although she enjoyed acting, she decided to turn her focus back to her first love, music. Now at 18 years old, Brieanna’s musical talent has blossomed, turning her into a talented and driven artist and songwriter. With the continued love and support of her family and guidance from her management team, she has written with top songwriters such as Keith Follese, Richard Harris, Mike Krompass, Steve Diamond, Bobby Campbell, Deanna Walker, Jeffrey East, Gary Burr, Georgia Middleman, Brandon Rogers, Clay Mills, Nate and Kaelie Highfield and many others. While Taylor Swift remains in the top spot as the artist who is her greatest musical inspiration, she recently added Kelsea Ballerini, Sam Hunt, Shania Twain and Avril Lavigne to the list of artists that influence her and her songwriting. Recently, Brieanna had the great fortune to co-write and record a song cowritten by Kelsea Ballerini and Mike Krompass. The flirty, fun and sassy song, “HOT”, is the first single from her forthcoming EP. The song and video are receiving accolades from top country blogs such as Taste of Country, Whiskey Riff, Nashville Dialed and other key outlets. Amanda’s music is about love and life through her eyes. Her story began in Orlando, Florida, where she began writing her own music through smart melodies and clever lyrics at the age of 12. She moved to Nashville in 2014 to attend Belmont University and graduated 2 years later with a Bachelors degree in Business Administration. Amanda mixes country and pop through her musical inspirations that include Adele, Colbie Caillat, Carrie Underwood, Miranda Lambert and Taylor Swift. 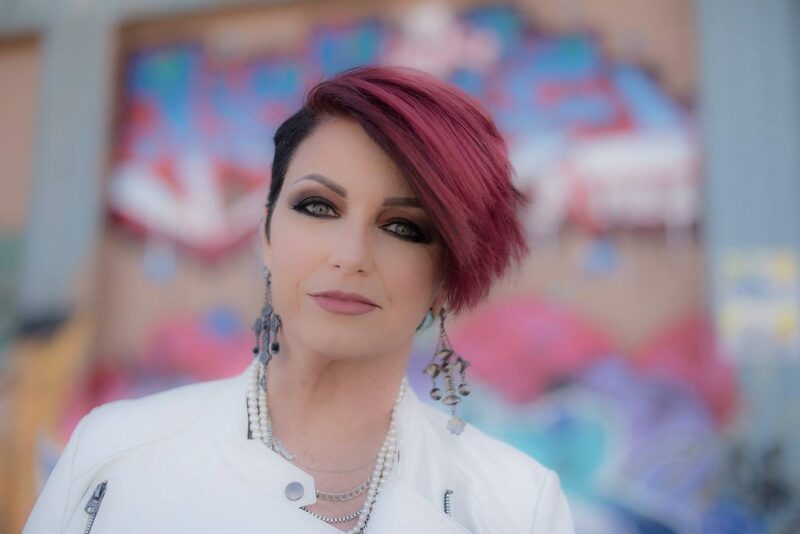 Amanda is currently working hard on her music, through writing and collaborating with Nashville songwriters, including some grammy nominated songwriters. She opened for Michael Ray in his hometown of Eustis at Boleros Cigar Bar with other talented songwriters. Amanda’s heart is much like her work ethic. She is a music philanthropist and volunteers with Tunes for Tots to help Make a Wish and Simon House. Amanda was moved to help raise awareness for charities that help people with cancer when several of her friends were diagnosed with cancer as well as her Uncle and her most loved music instructor-Ron Feldman. She continues to perform as much as she can while working on her songwriting. She has had the opportunity to play at the FMF Music Festival, Deland Songwriter’s Music Festival, Daytona Music Festival, Nashville State Fair, Opry Mills Mall, BB Kings, The Dubliner The Row and The VIP lounge at the Sounds of Summer Tour with Dierks Bentley, Kip Moore, Maddie & Tae and Canaan Smith. She feels blessed with great family and friends who support her efforts in music. She is humbled everyday by the amount of work and dedication it takes to be a musician. Music is a huge part of her life and she devotes much of her creative energy to it. Amanda hopes that you will become a fan and friend. With grateful thanks! Billy James Brady was raised in a small town . At a very young age he started playing guitar and it happened from there. He started preforming in groups and on stage for music events. Billy has recorded in Nashville and is currently working on his Songwriting Catalog. 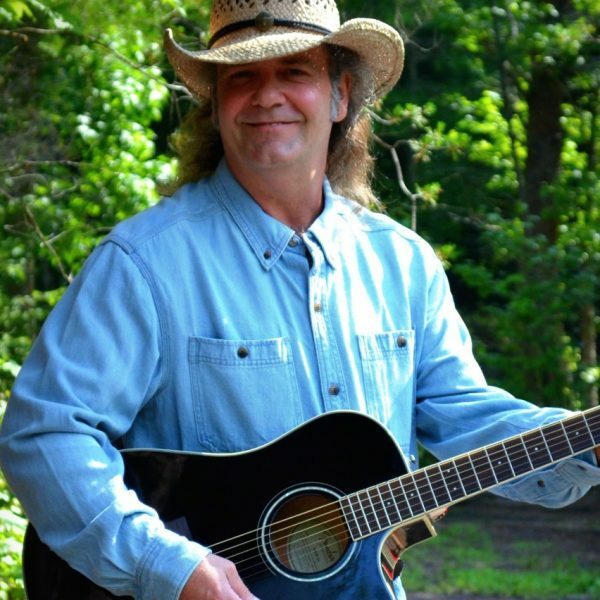 Billy is available for Co-Writes, along with songwriter, county park and fair events. Eddie’s band is a group of virtuoso musicians comfortable playing many genres from jazz and blues to rock and country. Their over 150 combined years of experience includes touring nationally and internationally, performing in venues from night clubs to arenas, and performing live and in the studio with well-known artists. The band includes Marshall Yarn on bass, David Johnston on guitar, Allan Edmondson on keyboards, and Tony Moon on the drums. After fronting several different bands in several different states, Melodie and Ricky Rooker decided to do something different. They moved to Nashville, TN and formed a new band…that they moved in with them to live, work, and play, as a band family. (Colton Everhart -Trumann, AR, and Justin Parker – Ontonagon, MI). Melodie & the Loud Boyz was born. What comes from this connection of different backgrounds, music styles/tastes, etc. is evident to see as they rock out onstage together. Their shows are extremely high-energy and entertaining, driven strongly by crowd requests and crowd interaction. One of the compliments the band consistently hears from fans is that they put on a PERFORMANCE! Because the band members have formed their own tight-knit family in their day-to-day life, their chemistry onstage is apparent, and they all work together to put on a top-notch show. 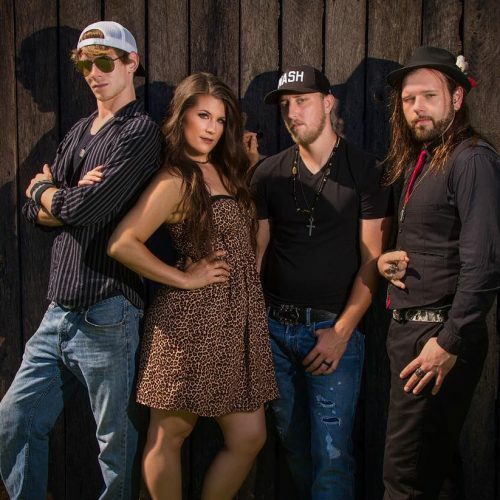 Melodie & the Loud Boyz play rock ‘n roll, blues, country, and everything in between. They learn new songs every week, so you’ll never watch the same show twice! Come to their shows with your song requests in hand, and be ready to sing and dance the night away! The band has been featured on 104.7 The Cave, KTXR FM 101.3 The Outlaw, Browne Hille Radio, Ozarks Live Public Broadcast on KOLR 10, and more. They travel weekly, and are open for booking! The band just released their first EP, “Let’s Get Loud”.